Residents from Jacksonville to Green Cove Springs rely on us for roadside assistance in Jacksonville, FL & the surrounding areas for things such as: 24/7 Emergency towing, battery jumpstarts, fuel delivery, & auto lockouts. In the event that you need long distance towing, Jacksonville, Middleburg, & Green Cove Springs residents can trust in Elwood Towing Inc. From Jacksonville, Florida to New York, (or elsewhere) we can get your vehicle or equipment to its final destination safely. You will be working with a portion of the best towing experts in the business. 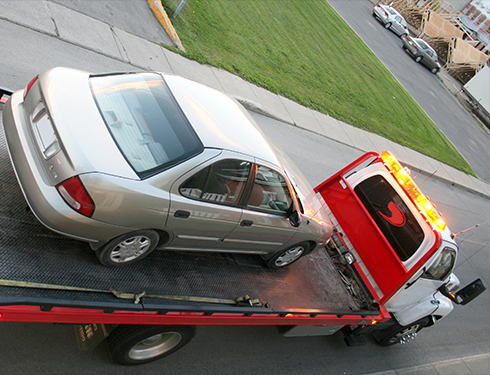 At Elwood Towing, INC we provide quality towing services at fair prices. For more information about our Long Distance Towing, Jacksonville & Northeast Florida residents contact us today. At Elwood Towing & Recovery we offer all of your towing services including transport services for businesses. If you have equipment that needs brought to a job or return, we can transport your equipment fast and easily. Needing emergency towing in Orange Park doesn't have to ruin your entire day. Simply contact us for fast and reliable towing Middleburg, Orange Park, or Green Cove Springs, FL any time of the day or night. We offer flatbed towing, which is the best method for towing your car or truck longer distances. If you are planning on having your car fixed across town, we can coordinate with you on towing to your garage of choice. Our towing has the most competitive rates and professional service. We pride ourselves on damage-free flatbed towing, rear-lift towing and Jacksonville auto transportation services that can't be beat anywhere else. The next time you need towing services, call Elwood Towing & Recovery.